This past weekend, I had a chance to lunch at Anniversaire in Harajuku. I opted for a delicious tandoori chicken caesar salad and finished every bite. It made me reminiscent of BJ’s Restaurant and Brewhouse’s salmon caesar salad. I had to make my own. 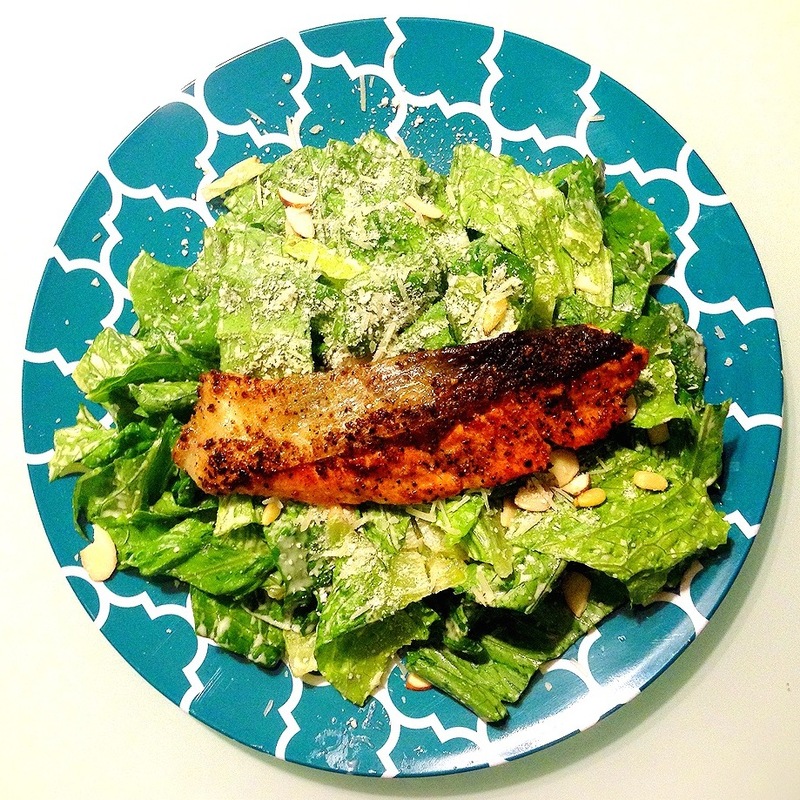 Pan seared salmon over a healthy bed of caesar salad, sprinkled with pine nuts, almond slices and parmesan. Results below. Current plate status: empty.